When was the last time you did a kitchen inventory? We asked Ken Oringer, the James Beard Award-winning chef who co-owns Boston and NYC tapas meccas Toro, for a few tips on how to stock a kitchen without going into debt. Hint: Those plastic spatulas have to go, but don’t go crazy buying a SousVide machine just yet. Any knife skills you have will go to waste if you’re not gripping a sharp knife. A dull blade will not only make you clumsier but is also dangerous. (No stew is worth a finger.) Invest in a carbon-steel J.A. 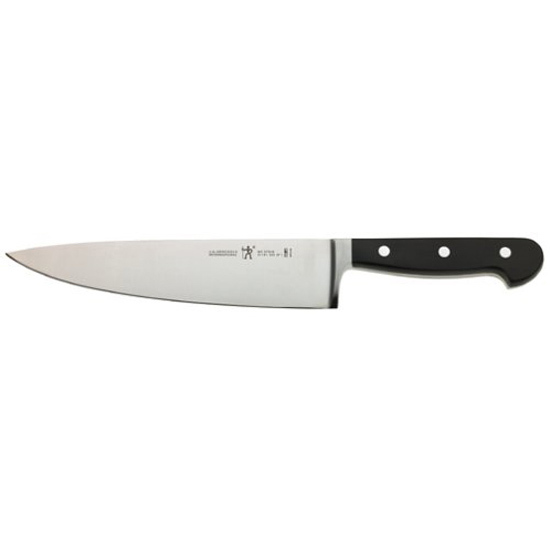 Henckels International Classic 8" Chef’s Knife ($55). It ain’t cheap, but you can pretend you’re on Top Chef next time you’re chopping cilantro. Remember to keep the blade sharp by honing it every six months. Don’t get us wrong, sharp knives are vital, but you can own respectable knives without slicing through your wallet. Japanese knives, in particular, are the best value for the quality. 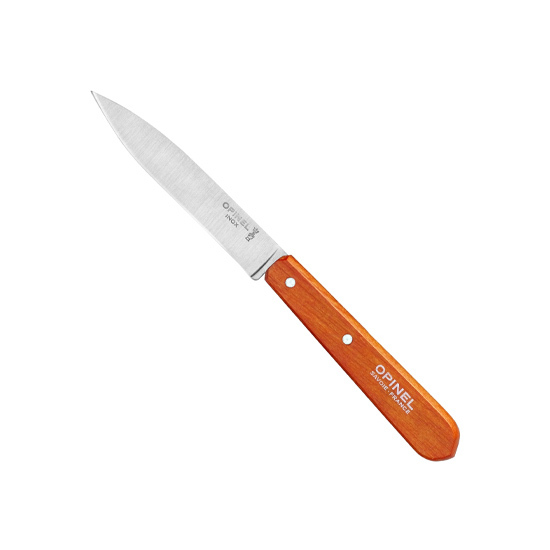 For everyday needs, you can’t go wrong with the stainless-steel Opinel Paring Knife ($11). If you’ve been pining for the $400 Vitamix, you have our blessing to buy one. Sure, the price is shocking, but if you think about all the money you’ve handed over to Jamba Juice, it’s really not so bad. 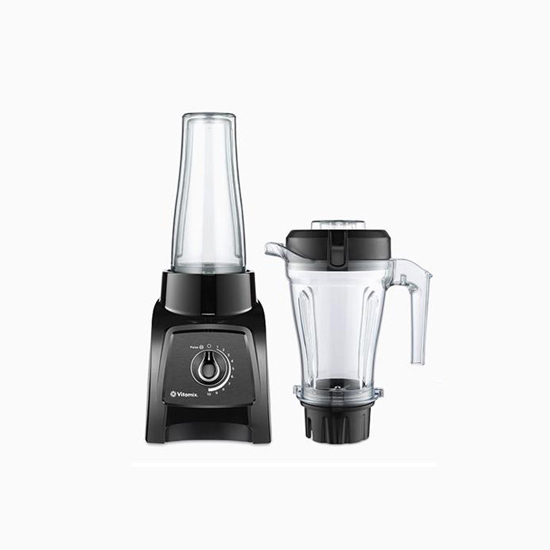 Any serious kitchen needs one, because it’s more than a 45-second-smoothie-blending machine. Use it to make pesto and impress friends with velvet corn soup. Next up: homemade almond milk. 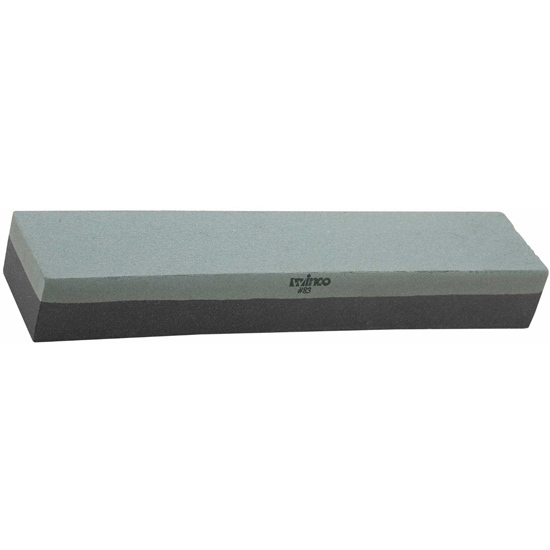 Your knives will be just fine if you use a sharpening stone that costs less than $15. No need to go crazy with an expensive electric knife sharpener that will easily set you back four times as much. They often take off too much metal anyway. A pan with a heavy bottom is essential for sauces and braising because it conducts heat evenly so that you’re not left with a scorched balsamic glaze. Grow your collection with stainless steel and aspire to get your hands on a copper pot--the pièce de résistance. While the All-Clad Stainless-Steel Skillet ($100) and the Mauviel Copper Saucepan ($190) don’t come cheap, anyone who walks into your kitchen will know you mean business. 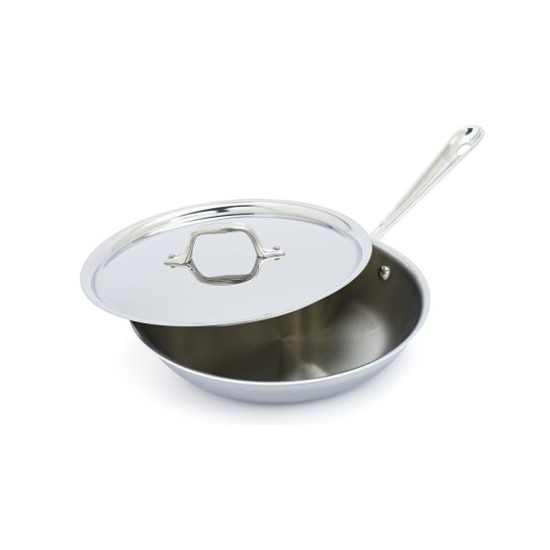 A mid-priced nonstick skillet is très bien for French omelets and crepes. No need to go for a pricey pan and live in perpetual fear of scratching it with a fork. 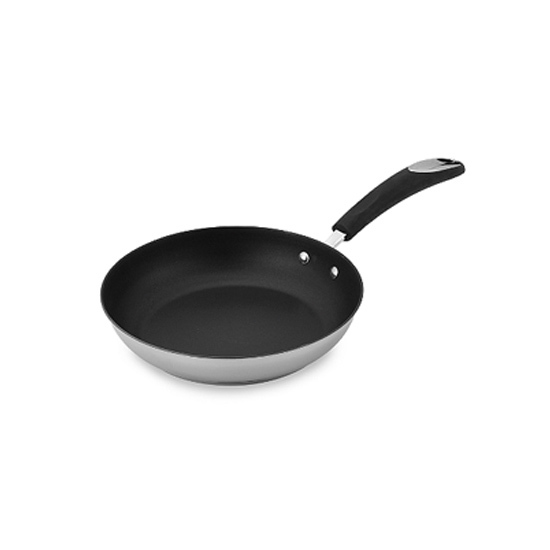 The Oneida 10-inch Non-Stick Platinum Fry Pan ($30) does the job and is a breeze to clean. Measuring cups are a must, but basic ones are fine, as long as they wash easily. OXO Stainless Steel Measuring Cups ($15 for a set of four) are just dandy next time you need to measure rice for paella. 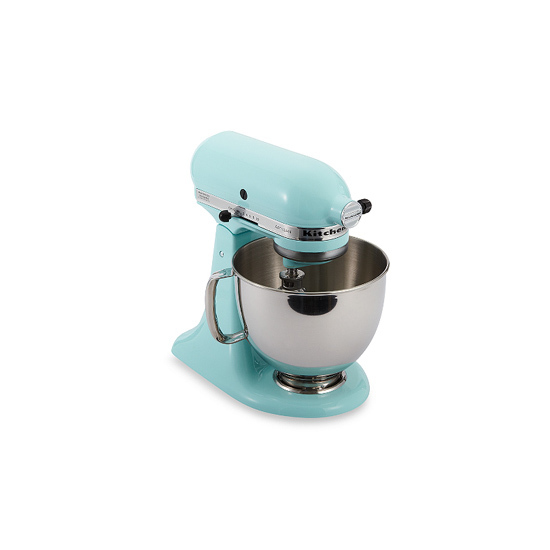 Step away from that $30 heirloom-inspired ceramic set from Anthropologie. 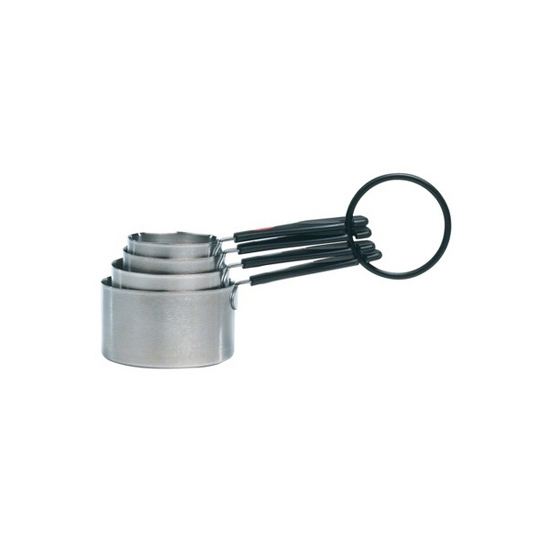 Toss the old-school meat thermometer. It pays to go digital. A few degrees can really make a difference when you’ve been laboring over a pot roast for the past three hours. 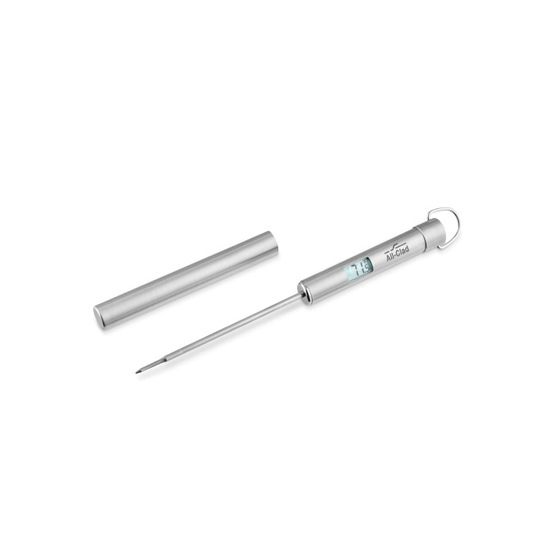 Say hello to your new best friend: All-Clad Instant Read Digital Thermometer ($40). You’ll want something sturdy that you can use for anything. A high-quality wooden cutting board is worth the splurge and will last a lot longer than a plastic one if you take care of it properly. 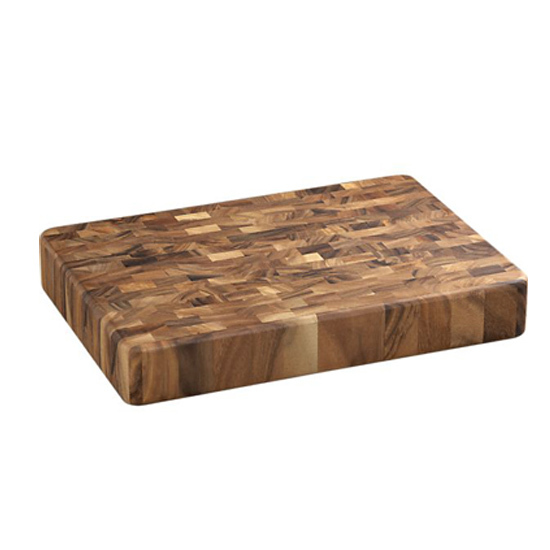 You won’t want to part with this acacia wood Crate & Barrel End Grain Board ($140). 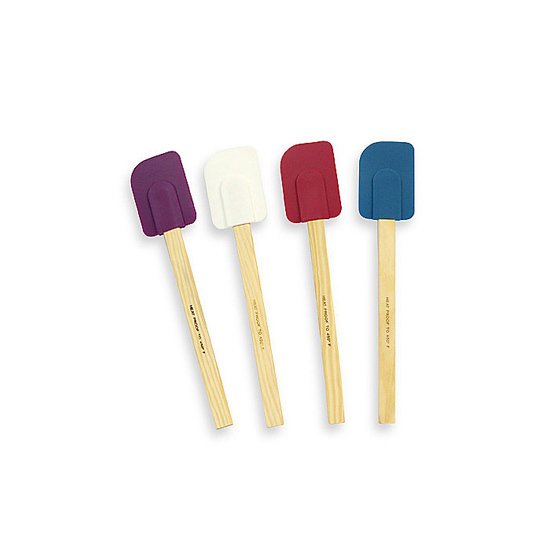 Silicone spatulas don’t cost much, they’re flexible, they’re great for baking and they come in a rainbow of pretty colors. Bed Bath & Beyond sells them for $1.25 a pop, leaving you with plenty of cash to get your hands on some truffle oil.